Now that we've hit the doldrums of late January who else has lost their motivation to do anything? It's cold out, it might be snowing out, the days are still super short and now they're we're passed Christmas the season has lost it's charm. Keeping your motivation for most things can be tough but it can be especially tough when it comes to blogging. With so many different things to do like taking photos, posting on social media, commenting, and don't forget just writing posts it's really tough to keep your motivation at 100 all the time. 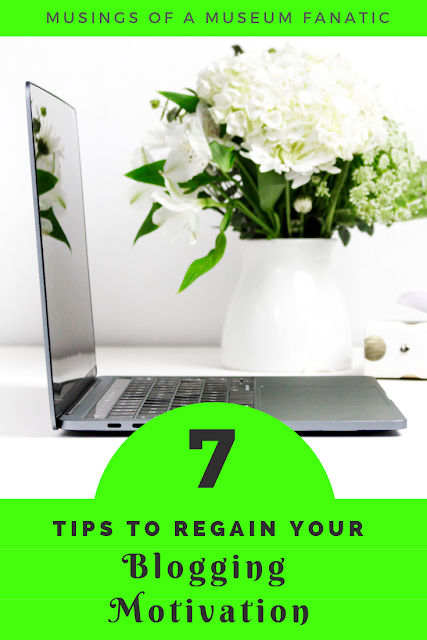 I've got 7 tips I find to be really helpful when I loose my motivation to blog. What do you do to keep that motivation up? After over six years of blogging sometimes it's easy to forget why I started. Even if you've only been blogging for a little bit it can be really easy to get overwhelmed and forget as well. If you're looking for a spurt of motivation start by sitting down and figuring out why you're blogging. Maybe why you started, no matter how long or short ago it was, doesn't apply anymore. When you've taken a step back and decided what you're why is be sure to incorporate that into you blog! 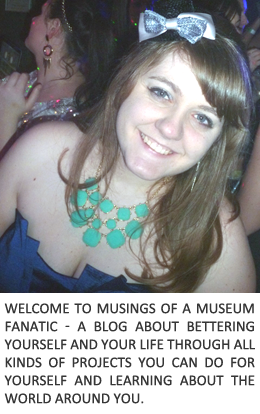 Take some time to revamp your About Me page, you tags, and everything else that goes with it. Who knows maybe even a design change is needed. We all know I'm a huge fan of goals! Whether it's small ones for your every day life or those bigger goals that would be perfect for your 101 list it's always important to have some sort of goal. Without a goal it's easy to not only loose your motivation but also to be unfocused. Be sure to make SMART goals though! It's not a good goal if it's not an achievable one. Maybe you had some great goals but for some reason didn't achieve them. Take a step back and ask yourself why you didn't accomplish them. Was it because life changed and you just didn't have time. Those goals still might be valid ones and you still want to achieve them. Didn't finish them because your blog took a whole new turn or you wanted to focus on something else with your blog? You might be sitting there saying Betsy this is the exact same thing as a goal. I don't think a plan and a goal are the same. A goal is the end result the plan is how you get there. Without a plan you're just going to drift along, annoyed that nothing is happening and saying to yourself that you're not going to get out of the funk. After setting a few new goals it's time to give the goals life with a plan. Want to increase you social media followers and interaction? Take some time to figure out steps to make that happen! One of my goals that I've been working on the plan for is getting my content scheduled ahead of time. So the plan part has been to develop a big list of topics I want to write on, then I worked on an editorial calendar. Make those plans! Breaking things down into manageable pieces can bring your motivation back up quickly. Making new blogger friends or connecting with ones you already have is a great way to bring up the motivation levels. They are great to pitch ideas to, give you some advice and just all around understand the whole crazy blog world. One thing I am super bad about is knowing my limits. I'm one of those people who take on so much and sometimes take on everything then I get overwhelmed and stressed. This is not just applicable to my personal life but to my blog as well. Right now I've got probably two dozen emails from different blog challenges I've signed up to do because they're going to be amazing and hundreds of pins for tips and tricks I want to implement. No matter who we are and how amazing of a plan we have we cannot do everything! Knowing your limits is super important! Not just so you don't get discouraged but also so you don't overwhelm and stress yourself out. Know those limits and be sure to give yourself grace. Like other items on this list trying to write about anything and everything can really make you feel overwhelmed and then tank your motivation. When you don't know what to write about it's super easy to wallow about whining about how you don't want to write and don't know what to write about. Not writing about that one from experience at all! Last year I took a couple of steps back and started to refine what areas I write about here and it definitely helped! One might think it would be harder when you narrow down topics but I think it helps since you focus on areas you're really passionate about instead of a bunch that are just meh. If nothing else works sometimes taking a step back and taking a break helps. Early in December I had some big transitions and it totally put me out of whack, both physically and mentally. All I was doing for a good week and a half was coming home curling up on the couch and attempting to relax my body. The first couple of days I was making myself more upset since I didn't have posts ready or anything scheduled for social media. Since my motivation was out the window because of the other stresses that were happening I gave myself a lot of grace. I took a step back and told myself it's ok not to post. You do not have to add to the mess by making yourself do something that you just can't right now. I know for me after I started feeling back to 100% at the end of December I was back! Writing like a mad woman and back with renewed motivation. Taking a break is OK and sometimes it can be the best thing for you!